NEW ORLEANS – A New Orleans native is suing a New Orleans-based non-profit corporation alleging it wrongfully terminated her last year. Shameka Brown has sued The Blood Center, a non-profit mobile blood collection center, in Orleans Parish Civil District Court as a result of her alleged termination in 2014. In early 2014, Brown claims she became pregnant after which she remained working at the mobile blood center. In August 2014, Brown alleges she was forced to leave work due to pregnancy-related complications which caused her to vomit and urinate on herself which left her unable to be around patients or in a medical environment, the lawsuit states. Brown contends that prior to leaving that day she notified a supervisor and three subordinates that she was leaving, and in addition, she attempted to call her direct supervisor who she claims refused to take her call. 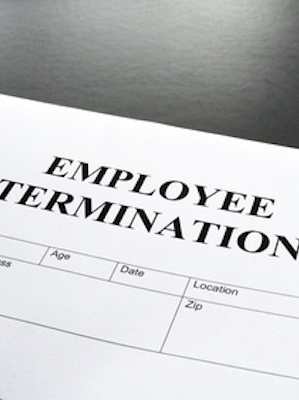 However, the plaintiff claims that before her next shift, the defendant terminated her for abandoning her job. Brown states that she was rendered disabled within the meaning of Louisiana Employment Discrimination Law and Louisiana Revised Statute 23:322. She also maintains that she had to take time off due to occasional nausea and vomiting, and on this specific day, the defendant was aware that her temporary departure was a pregnancy-related emergency and that her symptoms were witnessed by co-workers. The plaintiff contends that as a result, the defendant failed to engage in any attempt to accommodate her medical disability and/or pregnancy-related disability as required by Louisiana law. Specifically, Brown contends that she sent the defendant a letter on May 19, but that the defendant failed to respond to it within 30 days as required by law. The plaintiff seeks compensatory damages, back pay, benefits, reinstatement and attorney’s fees. Brown is represented by Jody Forester Jackson and Mary Bubbett Jackson of Jackson and Jackson in New Orleans, Louisiana.